﻿The Bromley Stainless Steel Heated Towel Rail is super luxurious in look and quality, it has an open-ended radiator that will look amazing in your bathroom. 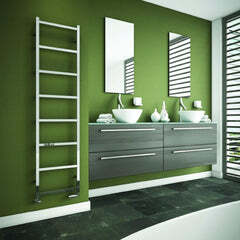 The Bromley has a beautiful polished finish that really adds to this Towel Rail. The Bromley Heated Towel Radiator is made out of luxurious stainless steel making it perfect for any modern bathroom setting. And it also has a massive 25 Year Guarantee! The Radox Quartz Designer Towel Radiator is a unique and innovative glass radiator that provides colour and warmth to any room. 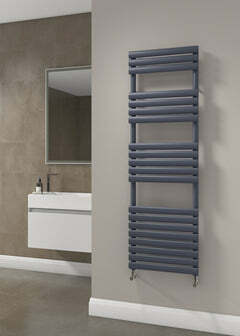 All radiators are fronted with 6mm safety backed glass and are ideal for any room in the house. A great benefit of the mirrored finish is the steam free mirror in your bathroom!! This beautiful Glass Fronted product is a great option for your house. This Product is available with an optional towel bar. Available Finishes: White, Blue Diamond, Orange Zest, Vermeer, Aubergine, Red Violet, Bride, Black Pearl, Silver, Downpipe, Claret, Cappuccino, Pewter, Fuchsia, Ebony, London Clay, Teal, Bronze Mirror, Mirror, Rose Mirror. Delivery: Mirrored are made to order. Delivery 3 weeks from point of order. 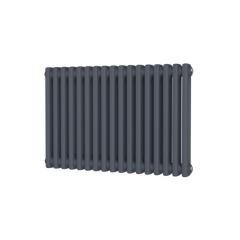 ﻿The Bexley Stainless Steel Towel Radiator has an amazing design, it displays an open-ended radiator that will look really luxurious in your bathroom. The Bexley has a beautiful polished finish that really adds to this Towel Rail. 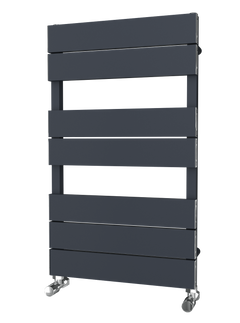 The Bexley Heated Towel Radiator is made out of luxurious stainless steel making it perfect for any modern bathroom setting. The Trade Range - Stainless Steel Square Tube Towel Rail is a fantastic ladder towel rail, and represents amazing value for money. The Trade Range - Stainless Steel Curved Towel Radiator is a fantastic ladder towel rail, and represents amazing value for money.